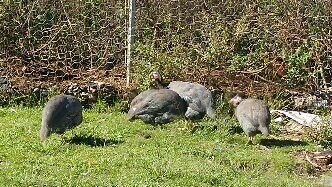 Some of our guinea fowl looking for bugs. It’s late in the season for baby anythings, but one of our two (out of ten) female guinea fowls decided a month ago that Autumn is a great time to sit on eggs. Silver (the mum) has been diligently sitting on her nest in the useful scrap pile for some time and my daughter has constructed a fence around her and a roof of sorts over her to protect her from being trampled by sheep or eaten by ducks (not a joke; the ducks ate some of her eggs before we built the fence around her). She has only hatched the one baby and remains sitting on the other eggs. We will have to take them away at the end of the week as we suspect that they are infertile and she won’t get off the nest until all the eggs are gone. We keep guinea fowls for tick control around the humpy (see my previous post) and they do a great job; we have not had to take ticks off the sheep or dogs for years. 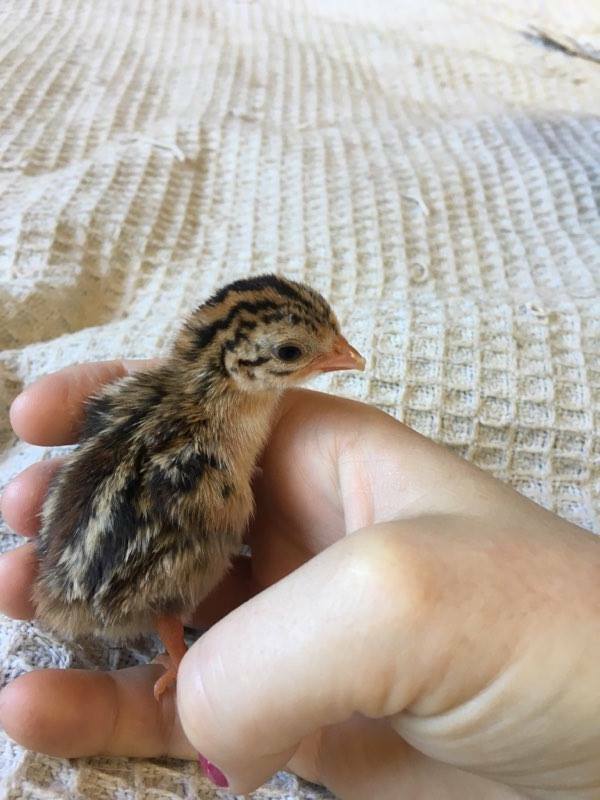 As guinea fowl live for many years we don’t tend to hatch many babies (we don’t need to replace them often), but sometimes life just finds a way. Our flock at the moment consists of ten birds; eight males of various ages and two females. Silver (the hen that went clucky) is only four years old and her mate is at least ten years old, proving that love doesn’t take account of age. We think the age difference may be why only one egg has hatched. She had many different ages of male to choose from; the males range from two years old right up to ten plus years old. 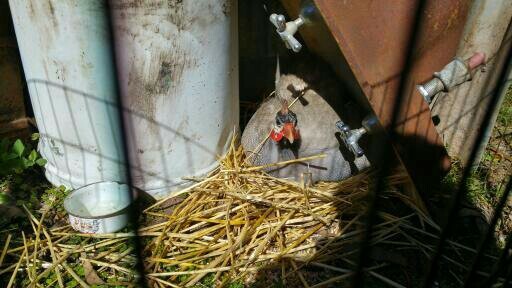 Some sources say that guinea fowl have harems (like chooks) but at our place they tend to prefer having a permanent partner who will hang around the nest site being generally unhelpful while the female sits on the eggs and get very excited when she hatches babies. 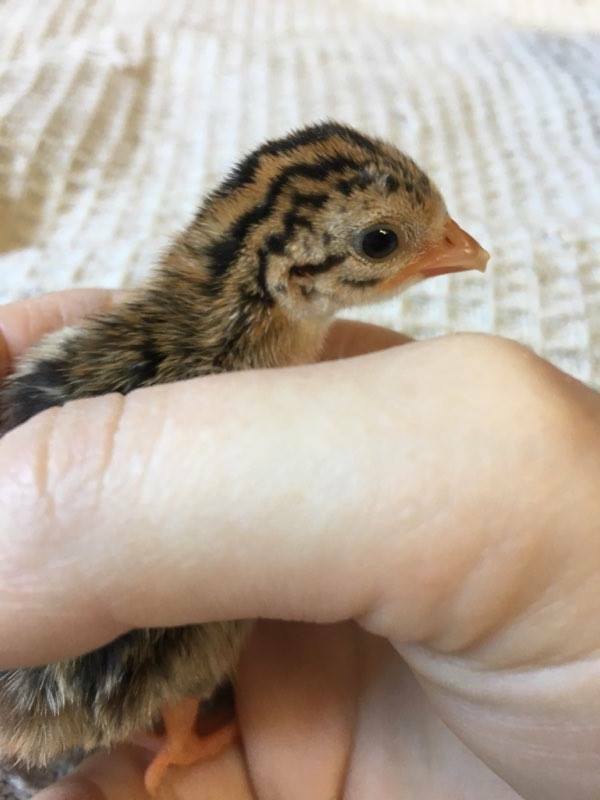 Our new baby; Emu was taken away from his mum as soon as he hatched because guinea fowl are terrible mothers. His dad and the other males came to the humpy door as soon as they heard him squeaking, they hung around for a day or so trying to mount a rescue, but eventually decided to give up and go to the pub. 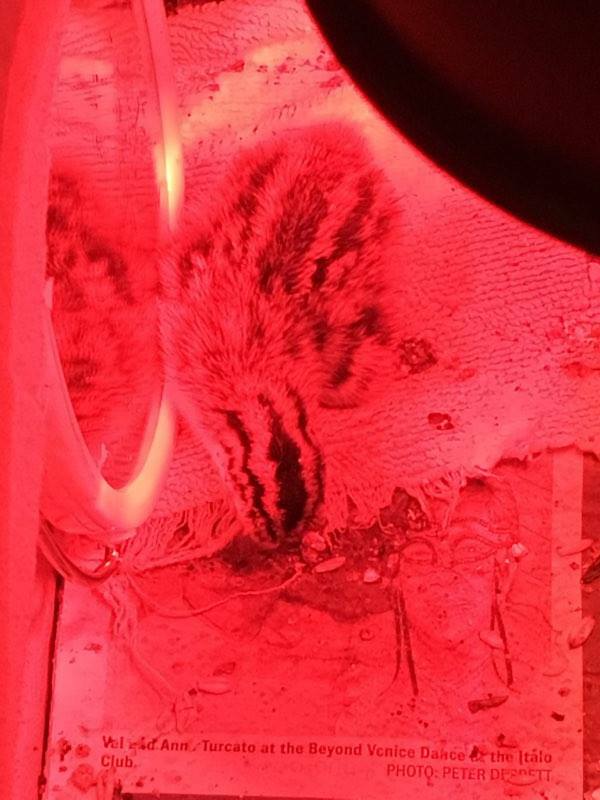 Emu lives in a heated box inside at the moment. 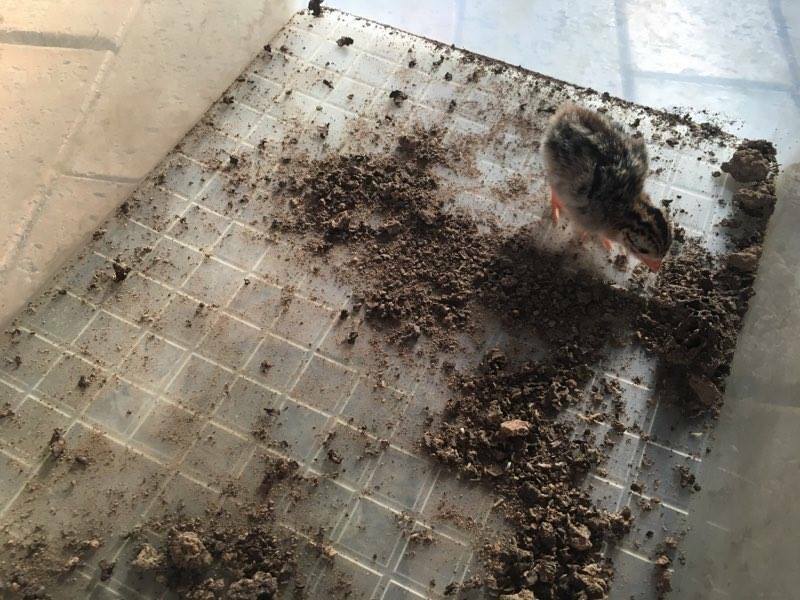 He eats insectivore mix, ground grains and live termites (collected daily). 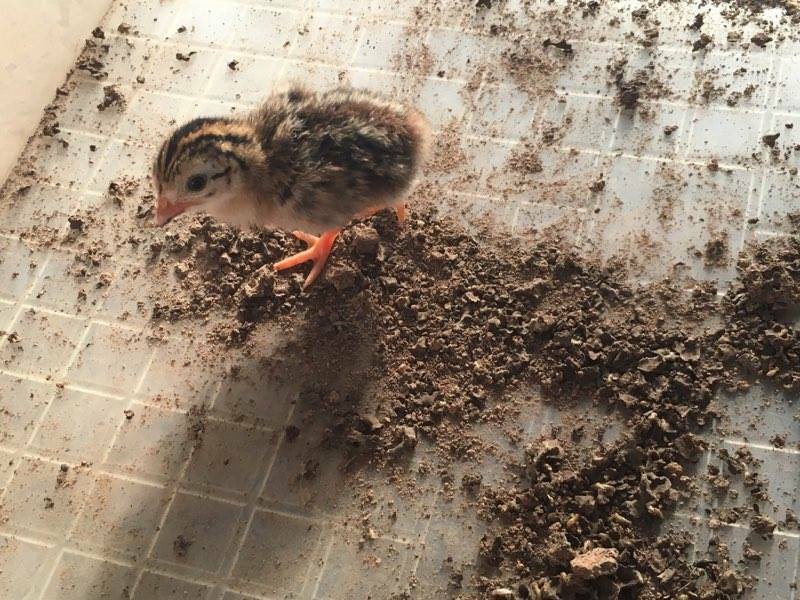 He is one happy, contented little keet (guinea fowl chick). 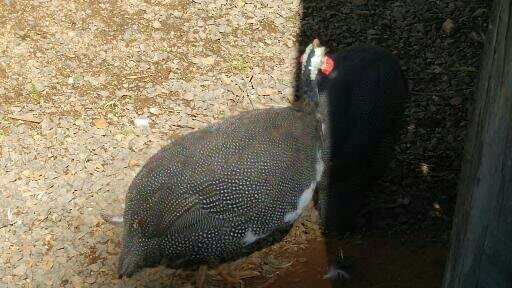 Unfortunately, guinea fowls are impossible to truly tame; guinea fowl may have been domesticated before the humble chook (or jungle fowl) but they haven’t evolved into the quiet, biddable fowl that chooks have become (for the most part). Little Emu startles at any movement and shadows on the wall frighten him into a darting, cheeping mass of nerves, he’s just a very highly strung bird. 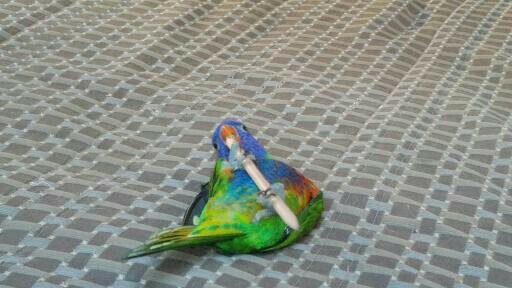 My daughter has high hopes of turning him into a sweet, cuddly pet though. Primrose the Rainbow lorrikeet has been up to her usual tricks and I managed to get a few shots to share. A blurry Prim in a tree on a walk to the front gate.